Former Victorian Premier Steve Bracks has thrown his support behind new ecotourism venture Wildlife Wonders, which will help protect the natural values of the Great Ocean Road and is calling for others to do the same. Tourism along the Great Ocean Road is booming. With annual visitation set to rise from 6 million to 8.6 million people over the next ten years, the pressure is on to ensure the facilities along this famous road can cope with the demand and the unique environment is protected. Former Victorian Premier Steve Bracks says that whilst the Great Ocean Road Action Plan is a good start, more action–and investment­–is needed from the private sector, and he has thrown his support behind a new ecotourism development near Apollo Bay. “Wildlife Wonders will showcase our unique Australian wildlife, and at the same time it will generate revenue to fund important research and conservation efforts along the Great Ocean Road,” says Mr Bracks. All profits will go into conservation and research ensuring a healthy and resilient Otways which will be cared for forever and preserved for future generations to enjoy. “Designed by Brian Massey, the landscape designer behind the highly successful Hobbiton in New Zealand, Wildlife Wonders is an outstanding opportunity to educate visitors about our native wildlife and build capacity for conservation across the Otways,” says Mr Bracks. “But we are at risk of destroying the beautiful natural assets people come here to see,” says Mr Bracks, who saw first-hand the influx of visitors whilst visiting Wye River over summer. Wildlife Wonders will be based on a spectacular 50-acre property just west of Apollo Bay and will offer visitors to the Great Ocean Road unsurpassed opportunities to observe and photograph the iconic animals of the area in a natural, predator-free setting. It’s expected to create at least 30 permanent jobs, and the profits will be invested into research and conservation activities in the Otways. The attraction is being developed by the not-for-profit Conservation Ecology Centre, which has secured $8.75 million in funding so far, including $1.5 million from the Victorian Government and $2 million from the Australian Government. They are currently seeking philanthropic support and impact investors to bring them up to their $12.6 million target. Private individuals and organisations are starting to step up in this space, including the recent purchase of a cattle station in the Murray Darling Basin by global conservation organisation, The Nature Conservancy. 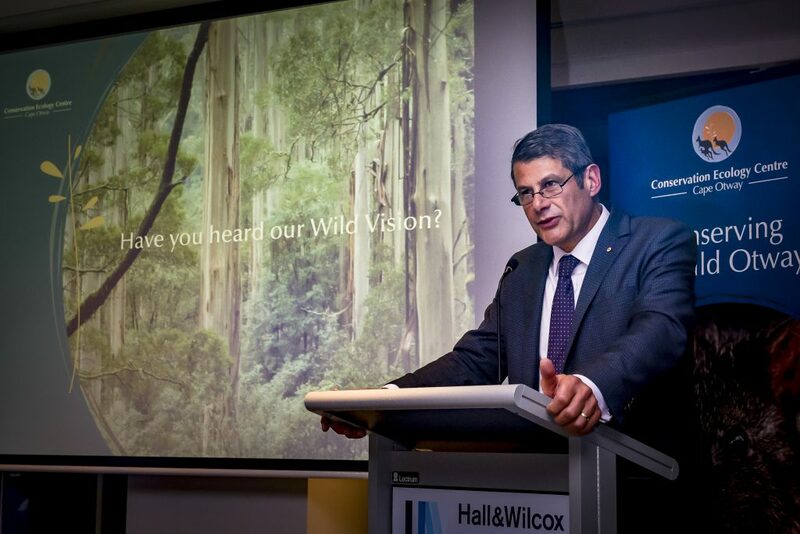 “If we want to ensure that these stunning natural places will survive for our grandchildren to see, we need to start thinking about investing in them,” says Mr Bracks.